Earlier this year, news broke that American Psychological Association had secretly collaborated with the U.S. government to make a legal and ethical case for torture in the wake of the 9/11 terror attacks. Here’s what we now know—and what we can do to prevent it from happening again. In November 2014, the Board of Directors of the American Psychological Association (APA) asked David Hoffman, a former federal prosecutor, to lead an independent review of allegations that the APA colluded with government officials to sanction the use of interrogation techniques tantamount to torture. The APA asked Hoffman to investigate these allegations just weeks before the release of the Senate Intelligence Committee’s report on the CIA’s use of torture, a report that raised major questions about the participation of psychologists in interrogation sessions. Hoffman was specifically asked to investigate questions about ethical guidelines issued by the APA in 2002 and 2005 that dictated when psychologists could ethically participate in national security interrogations. Hoffman’s report was leaked on July 10 and confirmed many people’s (including my) worst suspicions. Hoffman has confirmed that that officials at the APA colluded with the Department of Defense (DOD) as well as the CIA to allow psychologists to participate in interrogations from the beginning of the “war on terror” until Obama came into office in 2009 and rescinded authorization for enhanced interrogation techniques. Although I have been working in medical ethics for 20 years, I first became aware of and alarmed by health care personnel’s participation in the use of torture a decade ago, when photos were leaked from the Iraqi prison of Abu Ghraib. More specifically, this led me to study what medical students and graduate psychology students were learning about military medical ethics and their obligations as health professionals under the Geneva Convention. It also prompted me to look at the close relationship between the Department of Defense (DOD) and the American Psychological Association. Drafting policy and ethical guidelines for psychologists is one of the central tasks the APA performs. And to craft these statements and guidelines, the APA uses panels of psychologists. The Hoffman report reveals that the collusion between the APA and government affected both the composition of panels designed to craft APA policy and the content of their proclamations. These proclamations set APA policy and, in effect, dictate what is ethically permissible or not for psychologists. The Psychological Ethics and National Security (PENS) task force 2005 report – that fully gave permission to psychologists to participate in interrogations – is an example of this. The PENS report allowed psychologists to participate in interrogations if they adhered to US law, but they violated every international code of medical ethics. 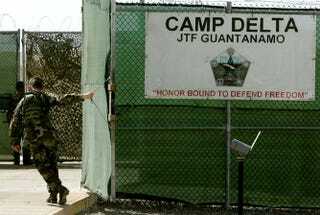 The point is that the way the Bush administration crafted US law flew in the face of medical ethics, allowing for detainees to be tortured, for example, because they were not “prisoners of war,” and therefore not protected by the Geneva Conventions. The APA’s permissive ethical stance allowed psychologists to participate in interrogations, providing necessary cover for dubious so-called “enhanced techniques” to continue. In this the APA stood alone among the major organizations for health professionals in the United States. By 2006, both the American Medical Association and the American Psychiatric Association issued decrees prohibiting their members from participating in interrogations. If the APA had done the same and prohibited psychologists from participating, harsh interrogations and torture would have come to a screeching halt because their presence, as health professionals, provided an air of legitimacy to interrogations. And this was needed (at least in part) to confer protection against future prosecutions of the interrogators. Any interrogators who were questioned could easily point to the psychologists then present to illustrate that their methods had to be safe and ethical. In fact, the APA did not rescind the 2005 PENS report until 2013. And even then, there remained significant holes that still allowed psychologists to be present during interrogations.The APA thwarted efforts to oppose unethical behavior and took active steps to protect the psychologists involved in the interrogation program from professional ethical complaints. In fact, it was the APA’s ethics director, Stephen Behnke, who oversaw much of this effort. To top things off, unbeknownst to the APA board, Behnke himself reportedly received a Pentagon contract to help train interrogators. And – as all of this was happening behind the scenes – the APA leadership was telling the APA general membership that the goal of the association’s standards was to protect the health and welfare of the prisoners at Guantanamo. Part of the answer must lie in the fact that psychologists receive little training about the ethical duties of health care personnel in military settings. Without that training, many of them simply didn’t know better. In a paper published last year, colleagues and I found that 74% of graduate students in psychology had received less than an hour of instruction on military medical ethics. We also found that only one-third to one-half of students in these courses could correctly answer questions about when they would be required to disobey an unethical order, for instance, according to the Geneva Conventions. The Geneva Conventions are clear in stating that prisoners are required to give only their name, rank, branch of service and serial number to interrogators. Additionally, they should be given food, shelter and medical treatment and never humiliated, threatened or harmed in any way. The APA colluded with the DOD. Now what? In the wake of the Hoffman report, APA ethics director Steve Behnke has gone (whether voluntarily or not is not yet clear) and, in an official statement, the organization has acknowledged the “deeply disturbing findings” that were “a failure to live up to our core values” and has outlined various recommendations. The APA has also announced the departure of three other staff members: CEO Norman Anderson, Deputy CEO Michael Honaker, and the Executive Director for Public and Member Communications Rhea Farberman. More, however, is to be done. The APA should also publicly praise those dissident psychologists who have over the last decade steadfastly protested APA’s support of interrogations and torture – despite the chiding they received from the APA administration. Additionally, the APA ought to call for significant investment in in ethics education for practicing psychologists as well as psychology trainees. The fact that the United States resorted to torturing prisoners – many of whom are innocent, or in the words of the Senate Report on torture, “wrongfully detained” – will likely go down as one of our country’s most egregious ethical lapses. The fact that a major health care association colluded in this lapse is unconscionable. J Wesley Boyd is Assistant Clinical Professor of Psychiatry, Harvard Medical School; Assistant Clinical Professor of Psychiatry at Harvard University. This article was originally published on The Conversation. Read the original article.